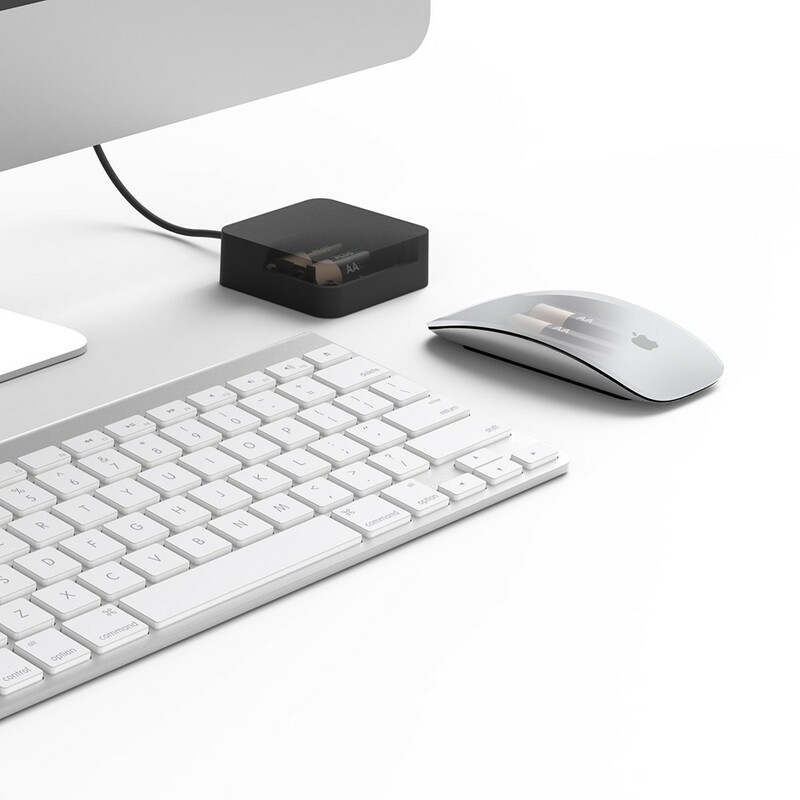 Aaden is a nifty little USB powered charger that makes sure you always have a fully charged set of AA batteries handy for your keyboard and mouse. Aaden’s elegant design is discreet, hiding the batteries beneath its small frame with individual indicator lights dedicated to showing when each battery is fully charged. Aaden is the perfect way to ensure that you have two charged AA batteries at your fingertips at a moment’s notice.